I got my 1:3 scale set for stun helmet back home today after having it painted up and finished by Jesse McClear in the states. I think he did an amazing job, and I'm now a proud owner of this little piece. Holy dang, that's amazing!!! Both so beautiful!! I'm sure you can get one from RS if you talk to them. They are really neat! I wish I had the same talent as Jesse when it comes to finishing these. He has finished several of them before. Looking really amazing and yes... Jesse is a fantastic artist and was very helpful in getting the scaled Vader project ready for printing. Just terrific. 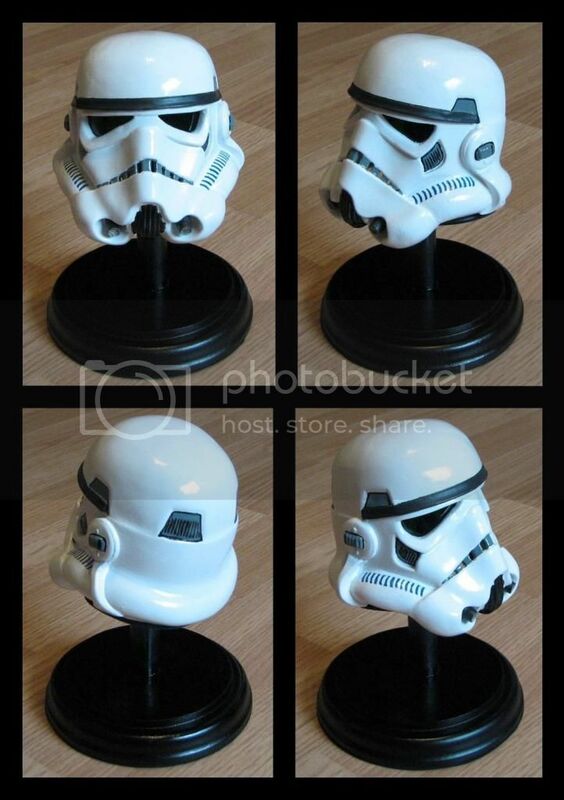 I should do a 1:3 ANH Vader helmet hehe. Yes, Thomas you SHOULD do a 1:3 scale Vader Helmet!! Dave, they are still available through RSProps now. Those little ones are truly amazing. Great job! Talk to Jesse, maybe he has time to finish a few more if you supply him with the casts.